Augmented reality describes the addition of a computer assisted contextual layer of information to the physical world, thereby creating an enhanced experience. 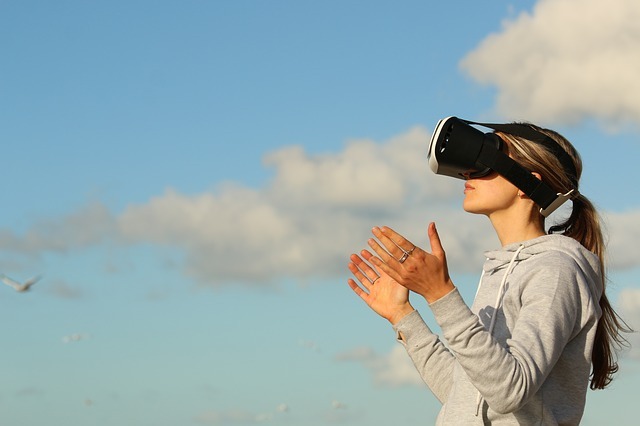 Virtual reality on the other hand creates an immersive experience that takes learners away from the physical space into a simulated reality. Both are exciting concepts for educators and instructional designers. Julie Howell is hosting a workshop on augmented and virtual reality during the upcoming SITE conference on Monday, March 18 from 1:30-5:00 PM. We talked to her about reasons for attending SITE and the concept of her workshop entitled ‘Creating a Virtual and AugmentED Learning Experience’. In the interview for AACE Review, Julie Howell talks about why she is part of the SITE conference community, what participants will learn in her workshop, and what methods she is planning on using. Is this your first time at SITE? What are you most looking forward to at this conference? No, I’ve been attending and presenting at SITE for the past four years. I always look forward to the innovative presentations as well as networking with other educators from around the world. I love sharing what I do and feel that a workshop gives me the opportunity to give participants a hands-on experience. Workshops allow everyone to learn and cultivate together and take the experience back to their classroom. Virtual and augmented reality are becoming more popular in education. I want participants to see how I utilize these tools in the classroom and give them hands-on experience with the tools. I will utilize a visual presentation to give information about the tools and will then pass around and share the tools I bring with me. Attendees will be able to use the tools in an interactive environment and be able to share ideas with one another in the workshop. Anyone who is in the classroom, coaches teachers, or works with teachers should attend. The workshop will give them an opportunity to gather information and ideas to take back to their faculty if they are not the ones in the classroom.